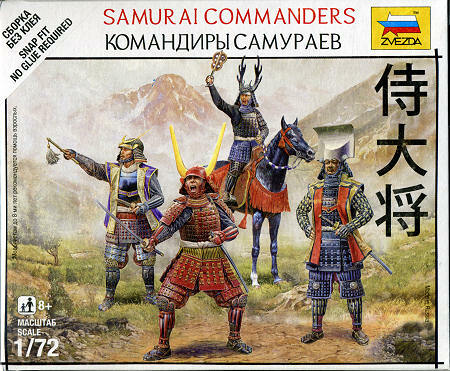 More neat Japanese figures from Zvezda that are based on their wargaming serie s. This particular one covers samurai commanders and is similar to their other samurai period figure sets. There are two main sprues that contain four figures in various poses with one figure mounted. These all come with bases. In addition to the usual bases and movement flag, there are individual soldier flags called sashimono in two different colors. A decal sheet provides markings for either the Oda or Takeda landowners. 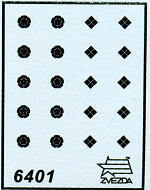 A movement card was not included in my box so it is possible that these do not require one. This kit is part of a number specially done for Zvezda's 'Art of Tactic' game system. Though designed as wargaming figures, there is no reason why they would not make nice models on their own. Thanks towww.dragonmodelsusa.com for the preview kit. Get yours at your local retailer.